We’re excited to announce that we are partnering with Twitch to build our esports framework, tournaments, and events for the long-term. Here’s a quick summary of the full press release below. This is a huge milestone for us and we’re excited to welcome Twitch to the family! We’re excited to warmly welcome TSM to the competitive scene of Vainglory! Most eSports fans are familiar with the super-skilled TSM team, known for having appeared in the League of Legends World Championship every year since its inception in 2011. Now the world-renowned team is diving into Vainglory by acquiring Team Alliance. Alliance is one of the best Vainglory teams and the current reigning world champion. The team is the No.1 seed for the upcoming North America Winter Live Championship. Announcing: Team Secret joins Vainglory eSports, we celebrate the Lunar New Year with our new update, and we’ve partnered closely with Vaingloryleague. Announcing 1M Unique Monthly Viewers, SK Gaming, NVidia and Amazon Appstore, Vainglory Most Downloaded App in China, and more! 1. Vainglory had a Twitch Audience of over 1M Unique Viewers in the Month of September! Vainglory 2015 Autumn Season launch! Get hyped for the Vainglory 2015 Autumn Season launch! Update 1.9 brings on a new hero, Phinn, limited-time seasonal skins a seasonal map skin and an entirely reworked Petal to the fold. Vainglory Now Available on the Amazon Appstore! We just announced on stage at the Tokyo Games Show that Vainglory is now available on the Amazon Appstore, and we couldn’t be more excited. Our vision with Vainglory is to bring true core game experiences to touch screens, and we want as many people as possible to be able to play Vainglory on the device of their choice. Players can now download Vainglory for free on their Amazon device or through the Amazon Appstore on Android devices. Vainglory now runs on any Fire HD, HDX or newer device, and a variety of Android devices. In addition to the Amazon Appstore, Vainglory is also free to download on the Apple App Store and Google Play. We’ve had a busy July over at the Lair. We’ve been delighted to see the rapid growth of Vainglory — both in player numbers and viewer numbers. We were thrilled to see the first broadcasts from the Vainglory World Invitationals with OGN, and the awesome reception for our new spectator system. And we’ve been overwhelmed by the continued support and help from our players around the world. Today, we’re announcing three major news items that all mark important steps forward on our journey of growing the global Vainglory community and Super Evil Megacorp as a company. Following on from the overwhelming success of the Vainglory World Invitationals in Korea, we’re today announcing a strategic partnership with OGN around the Vainglory International Premier League (IPL) starting August 16. The Vainglory IPL will be an elite competition featuring the best teams in the world, including teams from Korea, Europe, North America and China competing for a $70,000 prize pool. Cast by superstar casters including Christopher “Montecristo” Mykles and Brendan Valdes, this first season will be a six-week league, broadcast twice a week live on prime-time TV in Korea and streamed to millions around the globe. Confirmed international teams include Team Unknown (EU), Team Gankstars (North America) and Team Hunters (China), who are all moving to Korea to take part in the inaugural Vainglory IPL season together with the top Korean teams. Broadcast times will be announced soon. Our Chinese player community has grown rapidly — despite the game not being available there yet and not having a dedicated server in China. (Sorry for the 250ms+ lag!) We are very excited to announce that we are soon launching Vainglory in China with our partner Giant Interactive. Giant is one of the most respected core PC gaming companies in China, and we will work with them closely over the coming months to optimize the experience for Vainglory players in China. Vainglory (虚荣 in China) will have synchronized updates with other regions and will launch in a major way on iOS and Android later this year. We can’t wait to welcome the most populous country in the world to the Halcyon Fold! We’re today also announcing a new $26M round of funding to help us continue to build incredible core gaming experiences on touch screens, and to pursue our dream of evolving Vainglory into what we hope will be the world’s first mass-market esport. While the $26M number is pretty cool, fundraising is actually mostly not about the money, contrary to what people think. Fundraising is about choosing amazing partners to help you grow as a company. We couldn’t be more excited about the new expanded international team around Super Evil. In addition to our incredibly supportive existing investor team from Signia Ventures, General Catalyst, Raine Ventures, Initial Capital and CrossCut, this new round is led by Index Ventures (Supercell, Skype and others) and backed by Yuri Milner, Jim Breyer of Breyer Capital (early investor in Facebook and one of the most experienced American venture capitalists investing in China) and Korea Investment Partners (the largest and most highly regarded venture capital firm in Korea). Together, we now have a truly global team that gives us both the resources and the connections and expertise to grow our international reach to new heights. “We have had phenomenal success previously backing excellent teams making innovative mobile and tablet games. SEMC clearly fulfill these criteria and are taking a bold and pioneering approach within the category. Index Ventures is delighted to have been chosen to support them on this journey.” — Ben Holmes, Index Ventures. And finally - DOUBLE GLORY!! We are still at the beginning of this journey, and our days are spent perfecting our upcoming updates instead of daydreaming about the future. But today is an important milestone not just for us but for touch screen eSports as a whole. And we’d all love to take the opportunity to extend a huge “thank you” to all the players, broadcasters and YouTubers for helping us get this far! To celebrate and say thank you we're announcing TWO ADDITIONAL DOUBLE GLORY WEEKENDS - namely August 14-16 and August 21-23! We can’t wait to show you all what we have planned and to keep working with all of you to build out the Vainglory community, one match at a time. Vainglory Commercial Launch set for July 2! Android Pre-registration Open! With the 1.6 update we are finally launching Vainglory commercially, including support for more than 150 Android devices. The update will contain the long awaited ranked queue, new hero Rona the Berserker, a ton of fixes and - finally - Android support! And it will all be live on July 2! Today we also open pre-registration for Vainglory on Android! Sign up before July 2nd and get Taka, the deadly assassin, for free! Make sure you also participate in our “This is how we Vainglory” Twitter campaign to win ICE and help unlock Double Glory weekends, or even a Triple Glory Weekend! Huge thanks to our players who have helped shape the game to date. To celebrate with you, we are hosting a 24hour global livestream at twitch.tv/vainglory. We will broadcast the launch live from the Twitch HQ, after which, Vainglory streamers from around the world will take over our channel; featuring streamers from Australia, Japan, South-Korea, Spain and so many more. The full program will be announced soon. We are proud to release our Community Trailer, which is made from videos you sent us from around the world. Thank you for telling us why you play Vainglory and being apart of this fantastic community. Thank you again to all for all the support and love! It's a huge step for us. And still it's all just the beginning! Can't wait to tell you what we are working on next! Vainglory Launches in Taiwan and Hong Kong! Taiwan and Hong Kong fans, the day has come! We’re extremely excited to announce that the game is now available on the App Store for iPad and iPhone in Taiwan and Hong Kong! Taiwan and Hong Kong both have amazingly talented MOBA players, and a strong foothold in competitive gaming. We are excited to bring Vainglory to players in both regions and look forward to working with the community to build Vainglory over years to come! We are looking for local streamers, video creators and community sites that we can feature in Vainglory, so please tweet us on @VaingloryHANT and @vainglorygame if you have content to share. As a reminder, Android players in all regions can also sign up for the Vainglory beta by joining the Google group for your device. More information on the beta can be found here. Vainglory is 100% cross-platform, meaning that players across platforms can play together. Please welcome new players from Taiwan and Hong Kong to the East Asia Server and the Halcyon Fold! It’s thanks to the incredible passion, dedication and instance of our players that today we announce our partnership with the world’s largest independent eSports brand, ESL, and announce the first-ever official Vainglory Cup Series. It’s a humbling milestone, and while we’re still a far cry from filling Staples Center, it’s the beginning of Vainglory’s next chapter — one we can’t wait to share with our players. This officially sanctioned online tournament begins May 13 across Europe, with the top two teams competing in the finals on June 14 for a cash prize and NVIDIA SHIELD tablets. The EU Cup Series will be hosted by professional ESL caster Jason Kaplan alongside well-known Vainglory players DonJon and Blueberryz, the casters of the community-created VaingloryLeague.com site and stream. We are excited to welcome Taewon Yun to our team of evil masterminds! Taewon will head Super Evil in the Asia Pacific region, drawing on more than 18 years of experience in the games industry. Taewon has previously worked at Wargaming, Blizzard and Electronic Arts and brings immense passion for creating great games for players around the world. It is a big milestone for us to set up an office in Southeast Asia — and it in some ways brings us full circle to our very first days as a live service only in Singapore. It has always been an incredibly important priority for us to listen to our players around the world, and now we have the base of operations and leader to ensure our players are heard and their needs are consistently met. Vainglory is Now Live in Japan! UPDATED: Vainglory Android Beta Frequently Asked Questions! We at the Lair are hard at work on Vainglory for Android (among many other things! ), and we're getting a LOT of questions about our Android beta program. Here is a quick FAQ to answer the most commonly asked questions! HOW DO I UPDATE MY CLIENT? If you're in the beta, and having issues updating to the latest client. Log into your Google Plus beta community, and reinstall from the install link there. You'll be prompted to either install or update your client. Note, updating from Google Play will not work. HOW DO I PARTICIPATE IN THE BETA? We are running a closed beta for specific supported devices. To apply for the beta for the currently supported devices, 'ask' to join the Google+ groups below. We are reviewing and adding new testers everyday. Korean fans, the day has come! We’re extremely excited to announce that the game is now available on the Korean App Store for iPad (generation 2 and above) and iPhone models with Metal technology (iPhone 6, 6 Plus and 5S). With many of today’s top pro gamers coming out of Korea, we’re thrilled to be launching a multiplayer game like Vainglory in an environment where the pedigree of competitive gaming is unmatched. With that in mind, we’re excited to reveal that we’ve been working closely with legendary League of Legends shoutcaster Jeon Yong Jun and OGN shoutcaster, William “Chobra” Cho to build out the most authentic MOBA experience possible. Look out for Jun as he lends his shoutcasting skills to Vainglory’s in-game tutorial videos, as well as on the Vainglory website, while “Chobra” will be the voice of the advanced Korean video series on YouTube. Both Jun and “Chobra” will be key ambassadors for the game in Korea and we’re eager to have them on board! Edit: The Vainglory Android Beta has evolved, please see this blog post to learn how to get into the Android Beta: here. When will Vainglory come to Android? It’s perhaps the single most-asked question from the Vainglory Community since the game launched three months ago. We heard you, and we’re excited to announce our first steps toward making Vainglory on Android devices a reality. We’re starting with a closed beta program designed to get your feedback on how Vainglory for Android plays on your device. Throughout and following this beta, we will refine the experience until the Android VG Community tells us we’re ready for prime time. This won’t be overnight, and we know we still have quite a bit of work ahead. You won’t see Vainglory on Google Play until our bar for quality and gameplay has been met. To get into the closed beta and be among the first to play Vainglory on Android apply now through the application at the end of this post. The closed beta will support a limited number of high-end devices, including the NVIDIA SHIELD and select Samsung and Nexus devices. We will be adding more devices through the process of readying Vainglory for Android release. The first look at the Vainglory Android beta version will come at PAX East March 6-8. We will be running Vainglory on NVIDIA SHIELDs at our massive display area inside the Twitch booth as well as playing with Android devices on our special PAX livestreams! Visit our full Android livestream & events schedule for more information and exact broadcast times. We are grateful to be working so closely with the NVIDIA team to create the best possible Vainglory gameplay experience, and their feedback and help is accelerating our development. We can’t wait to expand to the Android platform and welcome new players to the Halcyon Fold! When we do launch, players on iOS devices and Android devices will be able to play in the same matches, meaning even better allies, more competition and seamless play with your friends — regardless of their platform preference. Apply for the beta here, or if the form doesn't show, click here. Stay tuned for more updates. We will keep you posted! We recently announced that Vainglory would be coming to Japan and Korea later this month. However, we’ve decided to push back both releases in order to spend more time polishing the game and localizing it localizing it for our Japanese and Korean fans. We spent the holiday season asking for translation feedback from players in both Japan and Korea. While we’re close, the incredibly valuable responses we received helped us reach the conclusion that more work was necessary to guarantee the level of quality we expect of ourselves — and expect to deliver to all players around the world. Our No. 1 priority is to do right by our players, and that means releasing the game when it’s 100 percent ready. Besides polishing the game, we’re also going to take advantage of this extra time to recruit additional team members for those local markets and deepen partnerships in each country. In the meantime, we have other good news to share! We've confirmed Jeon Yong Jun, the legendary shoutcaster of League of Legends, as a key ambassador for Vainglory in Korea and globally. Jung is well known in the East and the West and it is a huge win for us to have his support. Also William “Chobra” Cho, the well-known Korean shoutcaster of League of Legends and Hearthstone has signed up as a Vainglory ambassador. We are incredibly excited to work with Jung and Chobra, who are valued MOBA pros in both the East and the West. More information to follow! Vainglory’s release in Japan and Korea will be a pivotal milestone for Vainglory, and we’re determined to make that initial experience a great one. We hope to have more information on timing soon. Until then, thanks for your patience while we make things even better. 안녕하세요 한국의 팬 여러분, 슈퍼 이블 메가코프입니다. 1월 말 한국과일본에서 출시될 예정이었던 Vainglory는 최상의 퀄리티과 현지화에 더 많은 시간을 투자하기 위해, 출시를 조금 미루기로 결정했습니다. 슈퍼 이블 메가코프는 지난 연말 한국과 일본의 Vainglory 플레이어들에게 번역에 대한 피드백을 조사했습니다. 퀄리티가 상당한 수준까지 도달하기는 했으나 플레이어들의 소중한 의견을 검토해 본 결과 내부에서 요구하는 수준과 전세계 플레이어들이 기대하는 수준 모두를 만족시키려면 추가 작업이 필요하다는 결론에 이르게 되었습니다. 가장 중요한 것은 플레이어들에게 최고의 게임을 제공하는 것이며, 서두르는 것보다 100% 준비되었을 때 게임을 출시해야 한다고 생각합니다. 이를 위해 저희는 한국의 팀원을 보충하고 현지 파트너쉽을 강화할 예정입니다. 다른 좋은 소식도 있습니다! 리그 오브 레전드의 전설적인 샤우트캐스터, 전용준씨가 한국 및 전세계에서 활동할 Vainglory의 핵심 홍보 대사로 확정되었습니다. 전세계에서 널리 알려진 전용준 캐스터의 든든한 지원은 큰 도움이 될 것입니다. 또한 리그 오브 레전드와 하스스톤의 샤우트캐스터로 잘 알려진 '초브라' 조한규씨도 Vainglory 홍보 대사로 발탁되었습니다. MOBA 전문가인 전용준 캐스터와 초브라 조한규 캐스터의 활약에 앞으로 많은 기대를 부탁 드립니다. 자세한 내용은 추후 발표될 예정입니다! 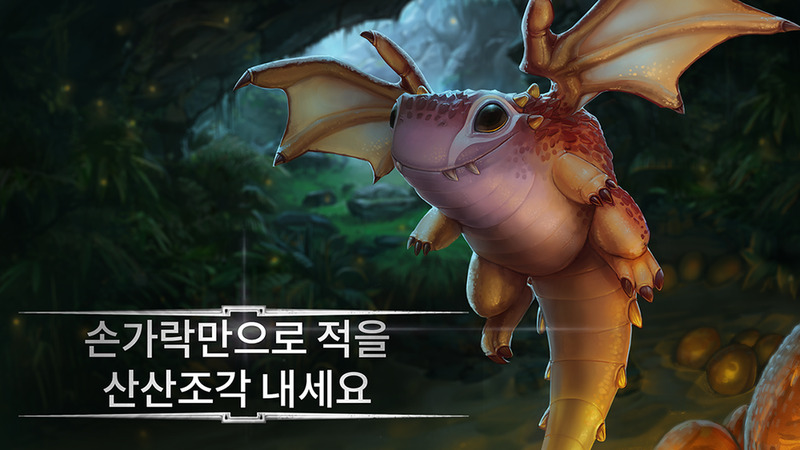 Vainglory를 기다려주시는 많은 한국의 팬들의 성원에 다시 한번 감사드립니다. 자세한 사항은 추후 발표될 예정이며 더 좋은 게임을 만들기 위한 피드백도 계속 보내주세요. 최고의 게임으로 곧 인사 드리겠습니다! Our Super Evil team is descending upon PAX South Jan. 23-25, and attendees can play a new, unreleased hero in an internal build right at the Vainglory stand. For all those who can't travel to San Antonio, we'll be livestreaming daily from the event and will show him off on Twitch. And those who visit us and drop their player name will get a free unlock of the new hero upon his release! On top of that, the first 10 players to find our Koshka cosplayer each day and ask for it will get a limited-edition statuette of the new hero. Plus, a ton of devs will be at the event hoping to meet as many players as possible, and we'll load you up with some swag too. Just find us at the Twitch booth, which will have a dedicated Vainglory demo area with daily dev visits. Watch the Twitch PAX livestream at 12:45 PM (CST) every day for a Q&A with Vainglory devs and insider info. Watch the Vainglory Twitch channel from 5-7 PM (CST) daily for viewer matches with Zekent and PlayoffBeard live from PAX. Plus spontaneous giveaways! Watch our regular official stream on Friday at the special time of 5 PM (CST) live from PAX to see the new hero played by Zekent — along with PlayoffBeard talking to special live guests and ICE giveaways (3,000 ICE per match to random, lucky winners)! Keep on eye on our Twitter feed where we'll have a special PAX contest for all Twitter followers, plus photos and details from the event. We hope you can join us at PAX South, but for all those who can't, we'll still make this a special event for all through the stream. And you can start getting excited as the new hero nears! See you in San Antonio ... or see you on Twitch Jan. 23-25. Fans in Japan and Korea--we have news for you! We’re so, so excited to reveal that Vainglory will be launching in the Japanese and Korean App Stores in January. We’ve taken time to pay special attention to the game’s localization for Japan and Korea, and next month fans in those countries will be able to join the party. Both Japan and Korea are extremely important for us. Japan has a long history as the pioneer of handheld and social gaming. Our entire team is made up of huge fans of Japanese games and gaming culture. We’ve spent hours and hours on SEGA and Nintendo alike. To launch our game in Japan is incredibly humbling and we hope to bring something new to Japanese players. Korea is THE place for competitive gaming. Some of the best pro-players of League of Legends, DOTA 2 and more come from Korea, and the country has an amazing legacy in multiplayer gaming. We at Super Evil are bringing those core, competitive game experiences to the touch platform and we hope Korean gamers find Vainglory worthwhile. As in other countries, Vainglory will be available on the iPad (generation 2 and above) and iPhone models with Metal technology (iPhone 6, 6 Plus and 5S). Please note that we are hiring people in both Japan and Korea. If you are interested in joining the Super Evil team as General Manager or Community Manager, check out the open positions and send an application our way. Stay tuned for more updates! Arigato! Gam-sa-hap-ni-da!